The L.A. Clippers and the NBA Development League today announced that the Clippers have acquired the right to own and operate an NBA D-League team that will begin play in Ontario, Calif. for the 2017-18 season when the league will be called the NBA Gatorade League. The team’s name will be the Agua Caliente Clippers of Ontario. The team is named for the Agua Caliente Band of Cahuilla Indians, a federally recognized Tribe located in Palm Springs, Calif. The Tribe owns and operates the Agua Caliente Casino Resorts, which includes the Agua Caliente Casino Resort Spa in Rancho Mirage and Spa Resort Casino in downtown Palm Springs. Agua Caliente Resorts is the Clippers’ Presenting Sponsor as well as the team’s Official Tribal Casino partner. With 31,500 acres of reservation lands that spread across Palm Springs, Cathedral City, Rancho Mirage and into the Santa Rosa and San Jacinto mountains, the Tribe also owns Tahquitz and Indian Canyons recreational areas, and two 18-hole championship golf courses. With today’s announcement, the NBA D-League grows to a record 26 teams for the 2017-18 season, all of which are owned or operated by an NBA club. The Clippers’ new D-League affiliate will play its 24 home games at Ontario’s Citizens Business Bank Arena, which is located 40 miles west of Los Angeles. Opened in 2008, Citizens Business Bank Arena is the largest arena in the Inland Empire and is also home to the Ontario Reign AHL ice hockey, concerts and family events. The NBA D-League recently completed a landmark season, establishing records for unique NBA players assigned with 92 and players on end-of-regular-season NBA rosters having NBA D-League experience with 199 (44% of NBA players). Two current Clippers have NBA D-League experience. Brice Johnson appeared in six games last season for the Salt Lake City Stars over two assignments with averages of 12.2 points and 6.5 rebounds in 19.3 minutes of action, while Diamond Stone appeared in 13 games with the Stars and Santa Cruz Warriors averaging 16.2 points and 7.0 rebounds in 21.7 minutes of play. The Clippers’ new D-League affiliate is currently looking for talent to staff our new team. 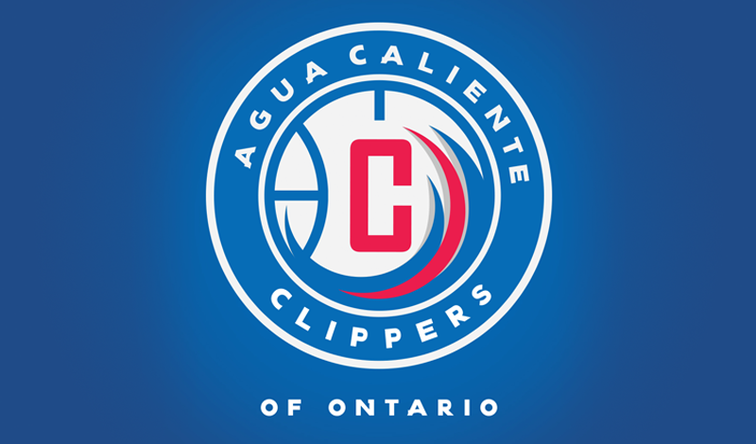 Please click here to view full-time opportunities with the Agua Caliente Clippers of Ontario. The NBA Development League is the NBA’s official minor league, preparing players, coaches, officials, trainers, and front-office staff for the NBA while acting as the league’s research and development laboratory. Featuring 22 teams with direct affiliations with NBA franchises for the 2016-17 season, the league offers elite professional basketball at an affordable price in a fun, family-friendly atmosphere. An all-time high 38 percent of all NBA players at the end of the 2015-16 season boasted NBA D-League experience. In fostering the league’s connection to the community, its teams, players and staff promote health and wellness, support local needs and interests, and assist in educational development through NBA D-League Cares programs.